Quality is at the heart of everything that we do at ATD emolda. 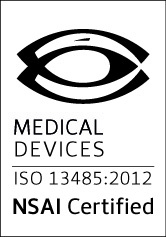 We are certified to ISO9001 and ISO13485 and operate to cGMP standard. This philosophy drives not only how we manufacture products for our customers, but also how we design, prototype and perform our QC testing. We use precision measurement tools and sophisticated metrics and analytics to ensure that our products consistently meet the highest quality standards.